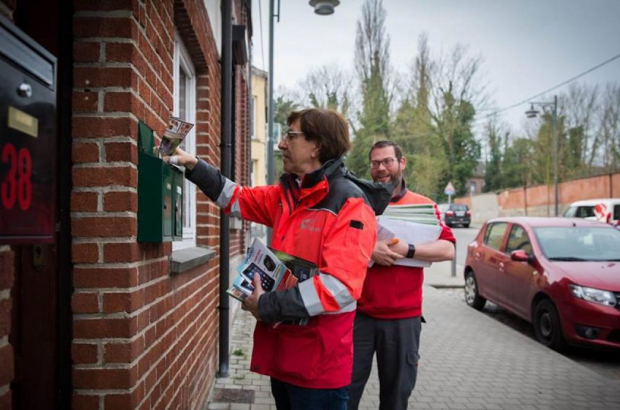 Former Belgian prime minister Elio Di Rupo donned a postman's uniform and did a round of deliveries on Tuesday, to speak out about the current government's pension reforms. The mayor of Mons, who is standing for re-election in October's municipal vote, took part in the stunt to "get an idea of the difficulty of the job". He wrote on Facebook: "This morning, I put myself in the shoes of a postman. These are dedicated people who work in all weathers. "Currently a postman can take his or her pension after 37.5 years of work. Charles Michel's government wants to force them to work for 45 years. Their difficult work conditions must be taken into account."